Is Teeth Whitening Safe For You? Let’s be honest,our pearly whites aren’t quite so glistening anymore, what with the incompatible eating habits and our passing age. However, cosmetic dental services have made it easier to help discolored treat recover their glow. We now have access to a range of teeth whitening methods; strips, special toothpastes, in-office procedures, you name it! Yet, people are still skeptical about the safety of this process. Here we take a look at some of the misconceptions they usually have regarding teeth whitening. Well, it depends. 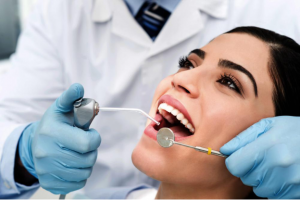 The American Dental Association has marked it as a safe and non harmful method to treat discoloration of teeth, provided you get it done by a professional dental service. This means forgoing the over-the-counter teeth whitening strips readily available at drugstores. These strips may tempt you into doing the job on your own, but they’re not nearly as safe effective as a professional tooth whitening service would be. This is because the formula used in them isn’t customized according to each individual the way it would be in a dentist’s office, and the whitening gel used too is much less potent. 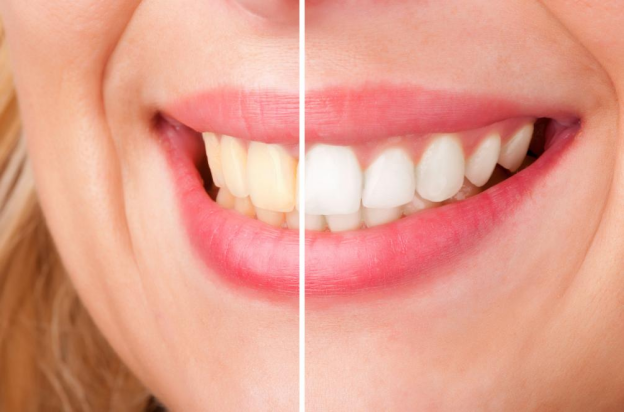 Trained dentists usually use a 40% hydrogen peroxide bleaching gel which results in brighter teeth in less than an hour. The formula used in the whitening strips is of a lower concentration which leads to people having to repeatedly use them to get the effect they desire. This can be potentially risky and can lead to tooth sensitivity and gum burns. There actually has been no evidence indicating that the tooth enamel is harmed in any way after the whitening process. Your teeth won’t get any softer because of it, and neither will their surface be changed in any way other than their color. We’ve talked about it being a safe procedure, but is teeth whitening bad for your teeth in the long-run? Nope, not if it’s done under proper care and caution. What this means is that if done in moderation and under proper dental supervision, teeth whitening has no harmful effects. Don’t go overboard with it though, and book a re-whitening appointment in two months! Remember, your teeth are delicate and constantly enhancing their appearance will have negative effects. If done on occasion, however, you have nothing to worry about. That said, there may be short-term effects such as tooth sensitivity, tooth pain, or irritated gums. Should you experience any of these, don’t delay visiting your dentist to get adequate treatment. Pain medication, numbing gel or a new toothpaste will help in soothing your discomfort. Consult a professional service like New City Family Dental before you opt for teeth whitening in New York. Call us at (845) 634-6006 to book an appointment!